I have written four books and one poetry chapbook over the years, and I'm working on some more. 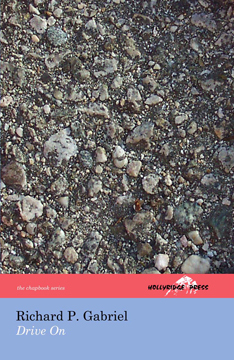 This poetry chapbook came out in August 2005. It features a series of lyric laments occasioned by the death of my mother in 2002. The rest of the poems are thematically related. I hope it is my first (and not my only) poetry book. This book was published in April 2005. It is about the theory and practice of open source in a business setting. It talks about how and why open source works, how to run an open source project (but not at the level of how to use open-source tools like CVS), strategies companies can employ that involve open source, and how to make it all work. 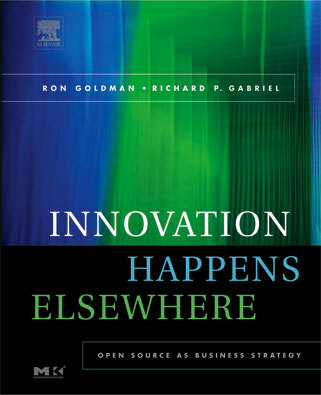 It's a sort-of handbook of open source for companies and other organizations. Here is the online version. I just wanted to tell you that I just reread your Writers Workshop book. The first time I read it to understand the workshop. This time I read it for the advice to writers, editors, and reviewers and your thoughts on work. Wow - you wrote a really good book that has a lot of levels. I'm sure you know this and don't need me to tell you this - but thanks again for writing this book. I'm sure I'll pick it up again in a few years and get even more from it. This book was published in June 2002. It is an essay on writing, creativity, software patterns, and, most importantly, the writers' workshop. 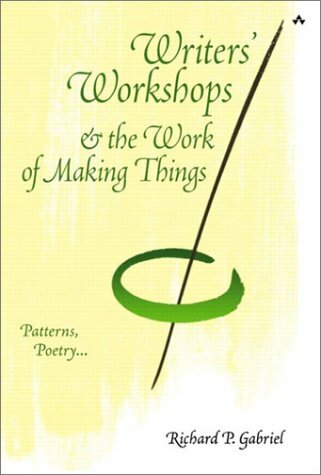 It can be used as a handbook for running and participating in a writers' workshop for creative writers, software patterns writers, and just about anyone who engages in a creative activity in which you make things. The book design won first place in the professional, nonillustrated category of the 46th Annual New England Book Show. Sadly, it's out of print (my editor was laid off right as it was published, and so I had no advocate at the publishers). This is the pdf of the final typeset version of the book; for history's sake, here is the last author version (pdf). It appears a small literary press will republish this book soon. Stay tuned for more details. 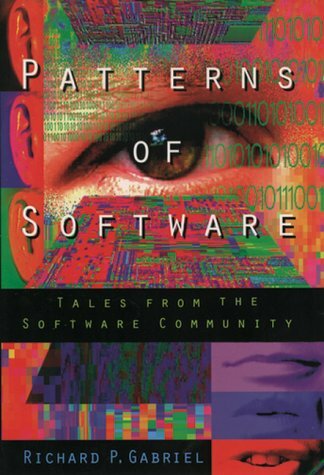 This is a collection of essays on patterns, software, writing, business, and my life story. It was published in 1996. 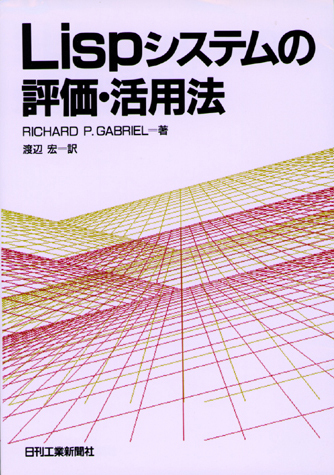 Because it's out of print, I've made the pdf of it available under this Creative Commons License.. This is my first book, published in 1985. It's on what determines the performance of a Lisp implementation and how to measure it. It is the source of the so-called "Gabriel Benchmarks," which are still in use to benchmark Unix systems. Because it's out of print, I've made the pdf of it available under this Creative Commons License.. 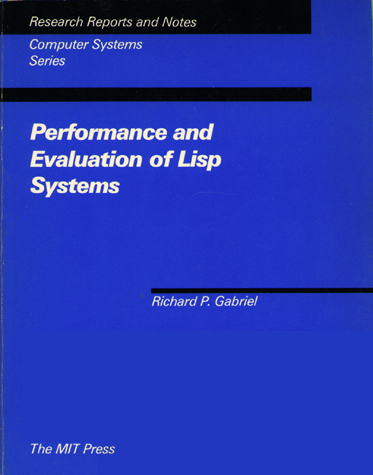 This is Performance and Evaluation of Lisp Systems translated to Japanese. I have no idea whether it is available.